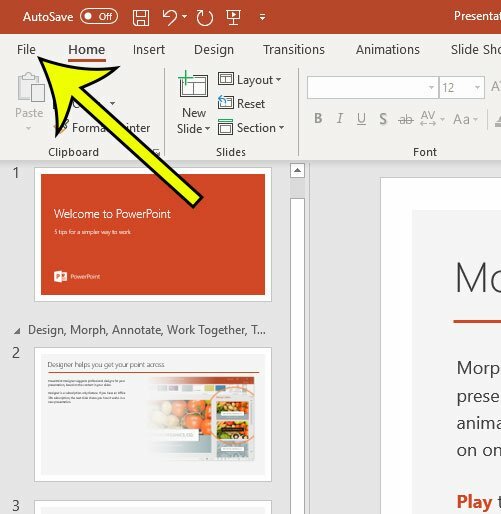 Is there a particular view in Powerpoint that you like to use, and you’re tired of having to switch to it anytime you open a presentation or create a new one? 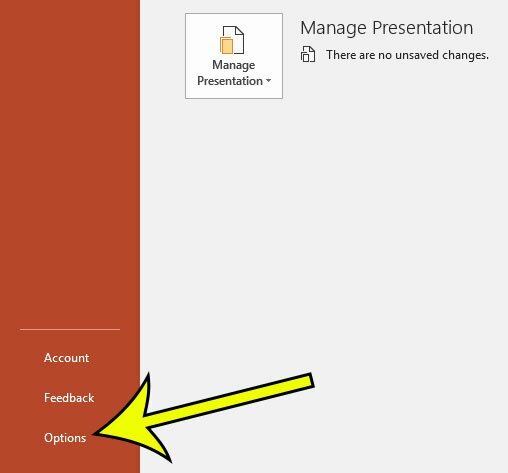 Fortunately Powerpoint for Office 365 has a setting that lets you specify which view should be used whenever you open a presentation in the program. Our article below will show you where to find this setting so that you can select your preferred view from a handful of options. This includes options like various Normal view configurations, Outline, Slide Sorter, and more. 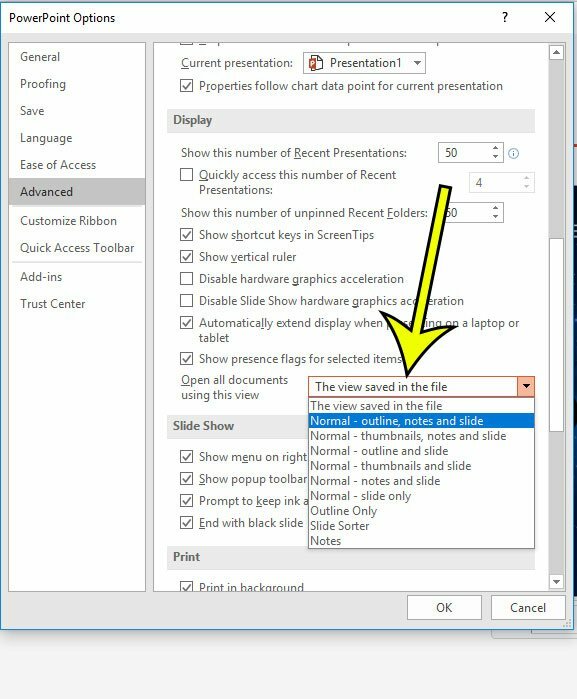 This is a really handy setting for people that don’t like the default view and want to use one of the many other possibilities within Powerpoint. The steps in this article were performed in Microsoft Powerpoint for Office 365. By adjusting this setting you will be affecting a default setting within the application. Once you make this change, all future existing and new slideshows will open using the view that you have specified. Step 2: Choose the File tab at the top-left of the window. Step 3: Click the Options button at the bottom-left of the window. Step 4: Select the Advanced tab. Step 5: Scroll down and click the dropdown menu to the right of Open all documents using this view, select the desired view, then click the OK button. Now if you close the current presentation and open another one, it will open with the view that you specified. If you change this setting a few times and ultimately determine that you would rather go back to the original setting, then simply change the selection in step 5 above to the The view saved in the file option. Would you like to disable all of the animations in a slideshow that you are working on? 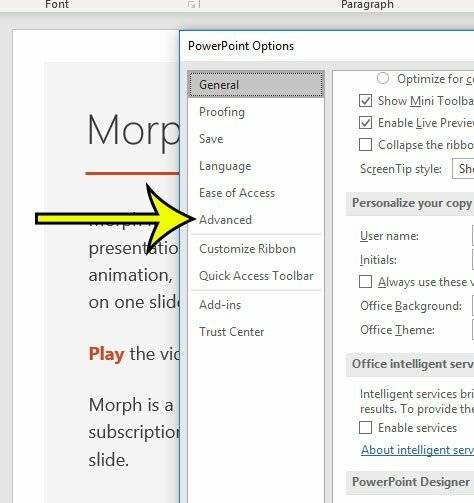 Find out where to make this change so that you can present and edit without any of the animations that exist in the presentation.